The California Department of Managed Health Care (DMHC) is the regulatory office charged with overseeing the majority of health insurance coverage in the state. 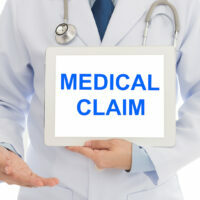 Health insurance policyholders can report disputes with their insurance provider to the DMHC, which will investigate those complaints, conduct independent medical reviews of denied claims, and carry out enforcement actions against insurance companies who are in violation of the law. Policyholders who have been the victim of the wrongful denial of their claim for coverage may also have the right to damages from a bad faith lawsuit. Below, is some of the findings in the 2017 annual report on insurance consumer complaints released by DHMC. Contact a Los Angeles insurance bad faith lawyer to discuss your options after a bad faith denial of your claim. The DMHC’s annual report on consumer complaints and the results of independent medical reviews provide a look into the staggering volume of instances where policyholders had claims denied as being medically unnecessary or experimental. The DMHC received nearly 12,000 consumer complaints in 2017 and resolved over 8,800 of them. Benefit and coverage issues comprised 23% of all resolved complaints. In other words, thousands of full-service insurance policyholders were forced to turn to the government for help when their claims for benefits were denied by their insurer. UnitedHealthcare of California held the dubious distinction as the insurer with the highest per-customer rate of complaints about claim coverage. The DMHC reported that there were 2.44 complaints about benefits and coverage for every 10,000 people enrolled in a UnitedHealthcare plan. Over half of the UnitedHealthcare complaints resolved by the DMHC were on the subject of benefits and coverage. Larger plans such as Anthem Blue Cross, Blue Shield of California and Kaiser Foundation had hundreds of more complaints than UnitedHealthcare but a lower rate overall due to their higher numbers of enrollees. In some cases, the DMHC will punish violations of California law with financial penalties assessed against insurance providers. In total, the DMHC assessed $8.9 million in administrative penalties against healthcare providers in 2017. In one noteworthy instance, the DMHC demanded a $200,000 penalty from Health Net of California for their repeated refusal to cover the costs of medical services related to gender reassignment. Health Net relied on the fact that it excluded coverage for cosmetic or other services going beyond actual gender reassignment in its Evidence of Coverage when denying these claims. However, this exclusion did not exempt Health Net from complying with California laws that made it illegal to discriminate against insurance policyholders based on their gender identity or gender expression. This violation of anti-discrimination law resulted in the DMHC’s assessment of penalty. If you’ve been the victim of a wrongful denial of coverage by a California health insurance provider, find out if you have the right to file a claim for bad faith by contacting the knowledgeable and effective Los Angeles insurance bad faith lawyers Gianelli & Morris at 213-489-1600.